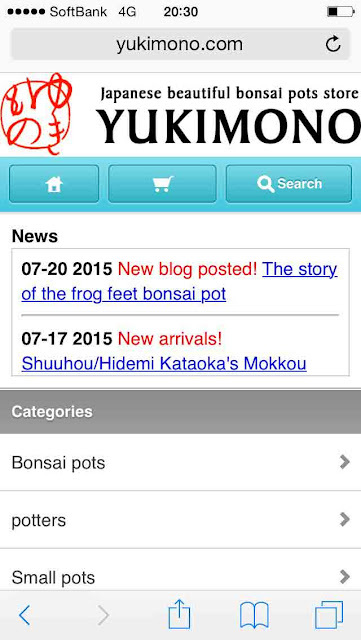 For Your Small Japanese Garden by YUKIMONO: YUKIMONO Smartphone Site Launched! Hello all! 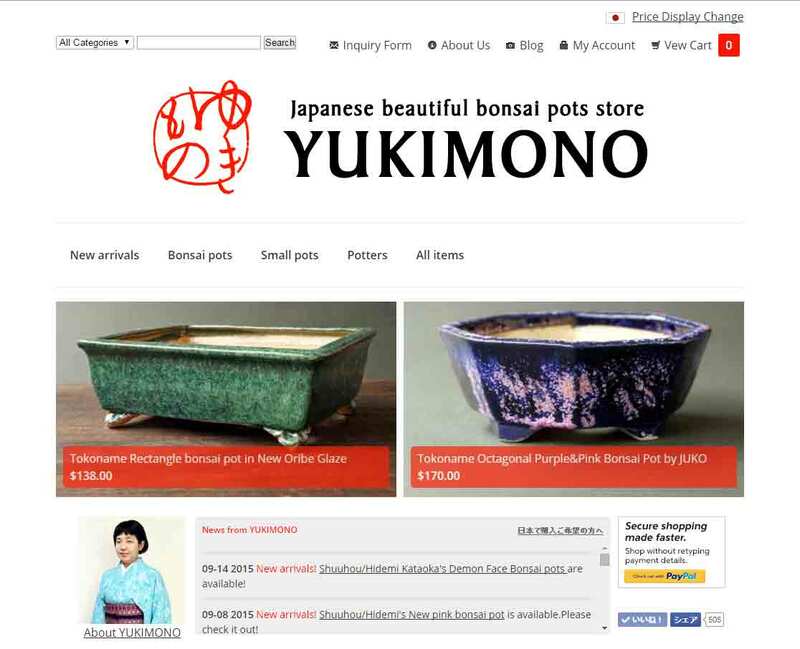 I am Yuki, an owner of Japanese bonsai pots online store YUKIMONO. 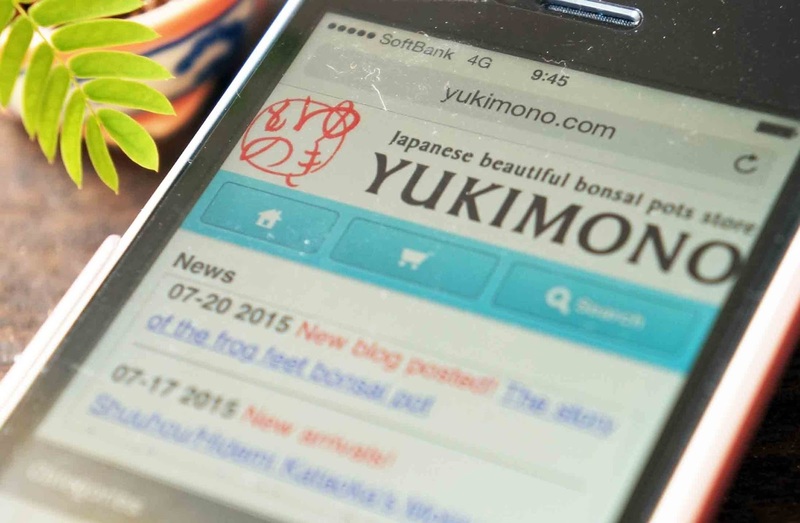 Now YUKIMONO online store for smartphone has been built completely! The top of page is very simple, but I think it is easy to look. As it is said, "Whoever suggest should start. "is important. YUKIMONO site is evolving day by day. 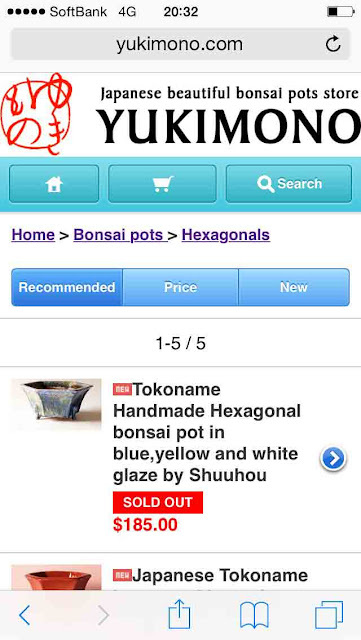 Please visit our store to see beautiful Japanese bonsai pots or Tokoname bonsai pots! Which pot will look fantastic with your tree?